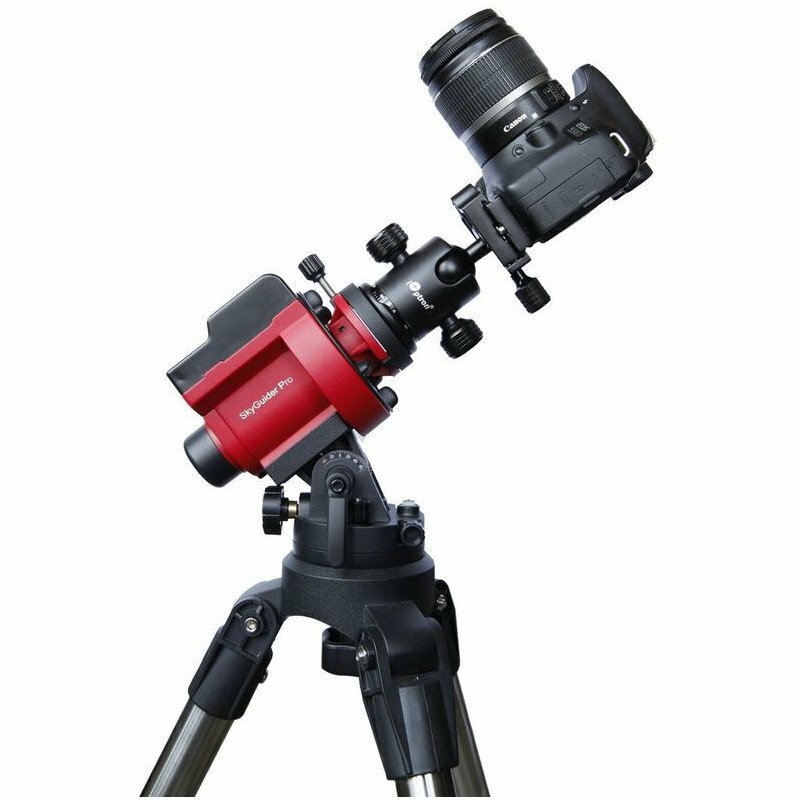 The redesigned SkyGuide Pro mount head is more compact, small enough to fit on your palm, better precision, silent tracking, built-in rechargeable power source, ST-4 guiding port and camera trigger port. The improved precision polar scope maintains a fine engraved reticule, now features adjustable illumination with different brightness levels. 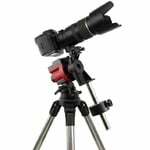 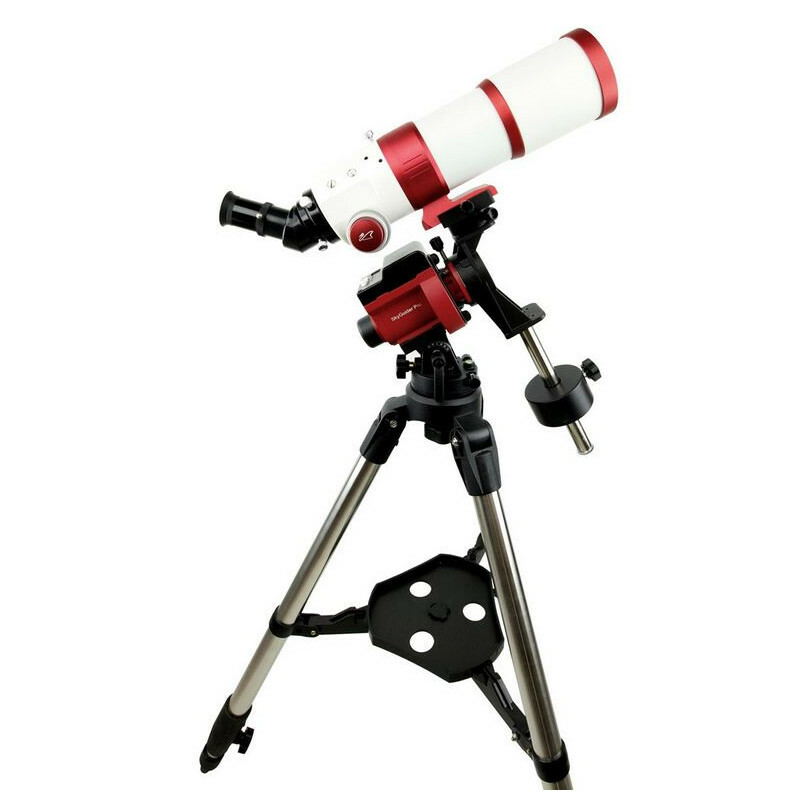 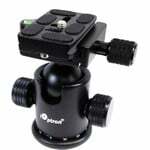 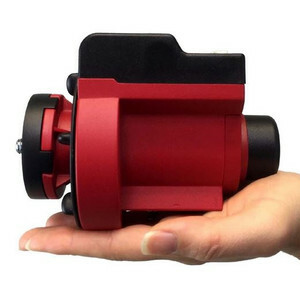 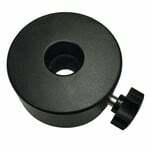 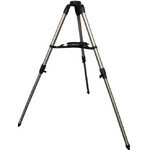 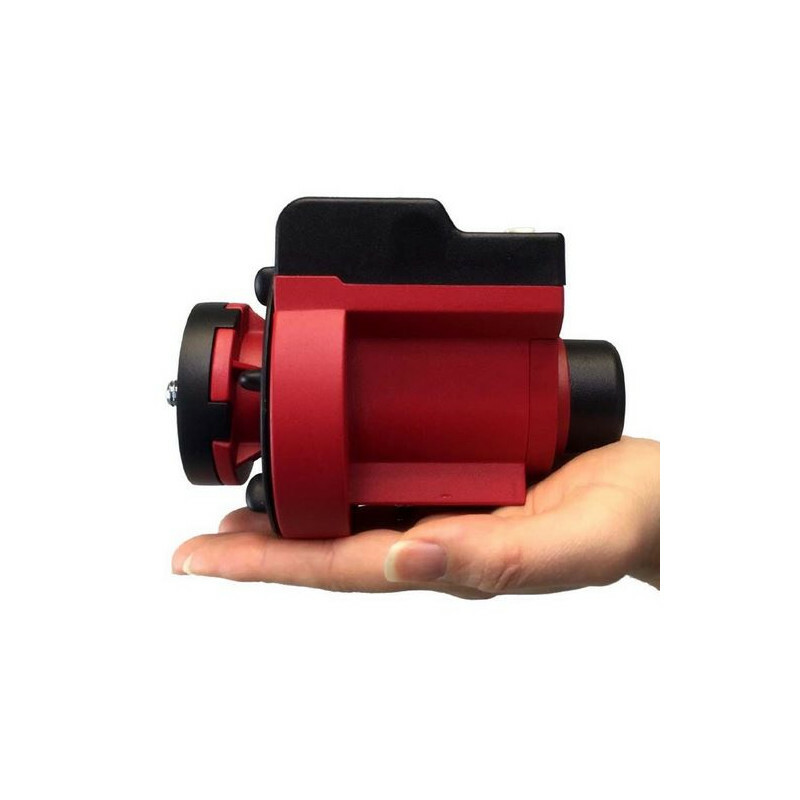 The DEC mounting bracket allows you to balance a heavy camera and/or lens better, or even mount a light telescope. 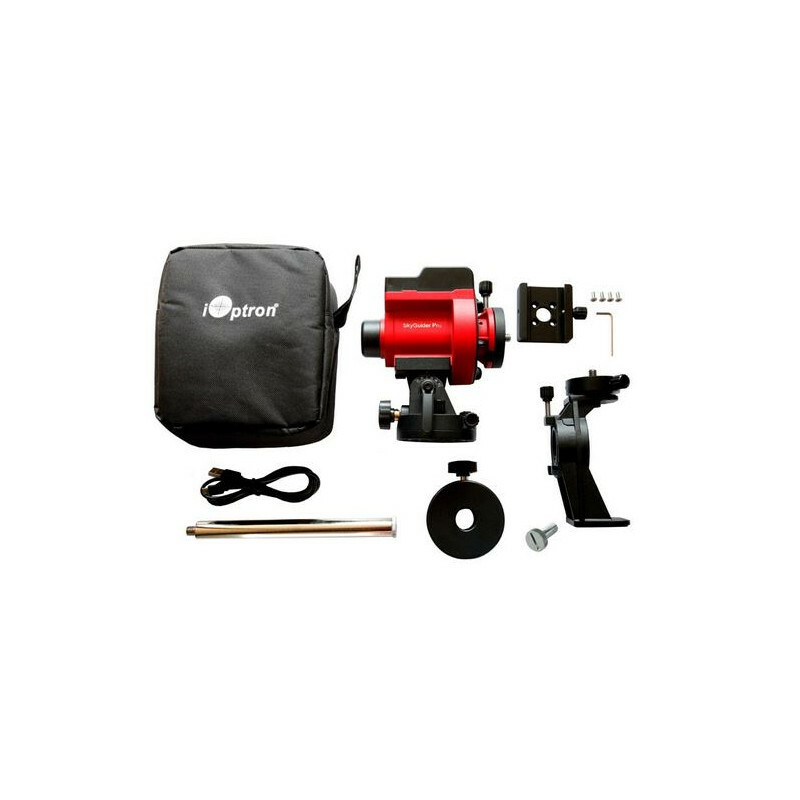 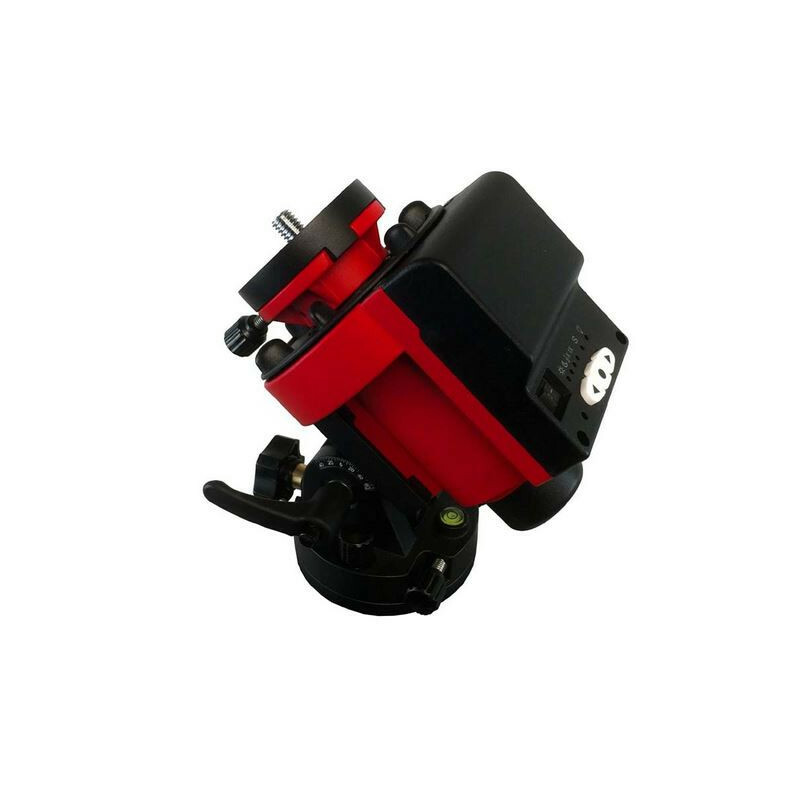 The optional Go2Nova hand controller allows you to check the Pole Star position for the polar alignment, slew the mount, adjust the guiding rate, change the mount settings and control the camera trigger. 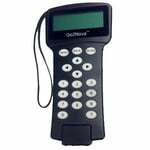 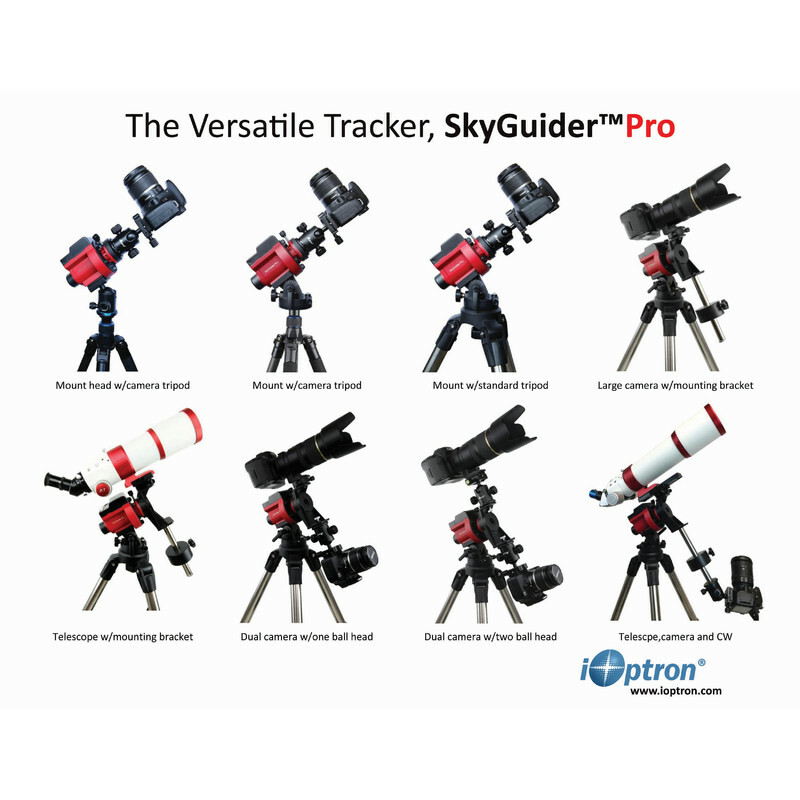 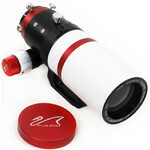 The SkyGuider Pro features four tracking rates, 1X or sidereal, 1/2X for sky and landscape combined, solar and lunar. All 4 tracking rates work in both northern and southern hemispheres. 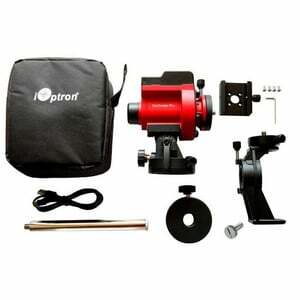 iOptron have also added a quick slew mode with both forward and reverse to help quickly reframing your image without disrupting the cameras position.